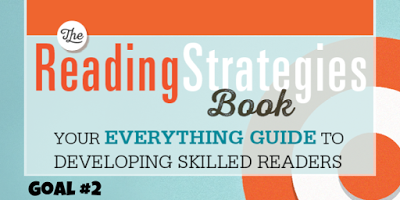 The Reading Strategies Book: Goal 2 ENGAGEMENT! Happy Wednesday all! Today’s topic is ENGAGEMENT…and it’s an important one at that! Join Tina over at Crofts’ Classroom for today’s post. This is one of those posts that’s just full of ideas…not only from Tina herself. Check out that Comment Section! Great ideas abound! My favorite from Goal 2 is Buzz Books. How do you create a “buzz” in your classroom surrounding books with your kids? In my class, we have a “Buzz Books” bin that students can add to. We check it out from time to time! Tina’s post not only shares her faves from Goal 2, but she also asks great questions to stimulate the conversation. So what are you waiting for? Stop on by to join i the conversation!